We bring you world leading treatments for foot and leg pain. Is heel pain or arch pain slowing you down? Our expert podiatrists use world leading treatments to get you back living the life you want to live, free from foot pain! Painless. Simple. No more fungal nails. Is foot pain ruining your life? We have the answers to get you your life back, so you can do the things you want to do again. Do you have foot or leg pain? At Pioneer Podiatry Mackay and Sarina, our focus is YOU. We offer a professional podiatric service in Mackay and Sarina for all of your family needs. If you are looking for any of the following, we’re the ones to see! Private patients (with in-clinic private health rebates). Can't find what you are looking for? Type in the keyword above and we can look it up for you! "Are you ready to get to the cause of your problems, and not just treat the symptoms?" Call us on (07)49425016 Book online What can we fix? Podiatrists are university-trained health professionals who deal exclusively with the foot and lower limb. This includes areas such as paediatrics (children), diabetes, sports injuries, structural problems, elderly and general foot care. It’s also important to remember that pain in other parts of the body can be related to the feet. For example, knee, hip and back pain is sometimes relieved by treating the mechanics of your feet. 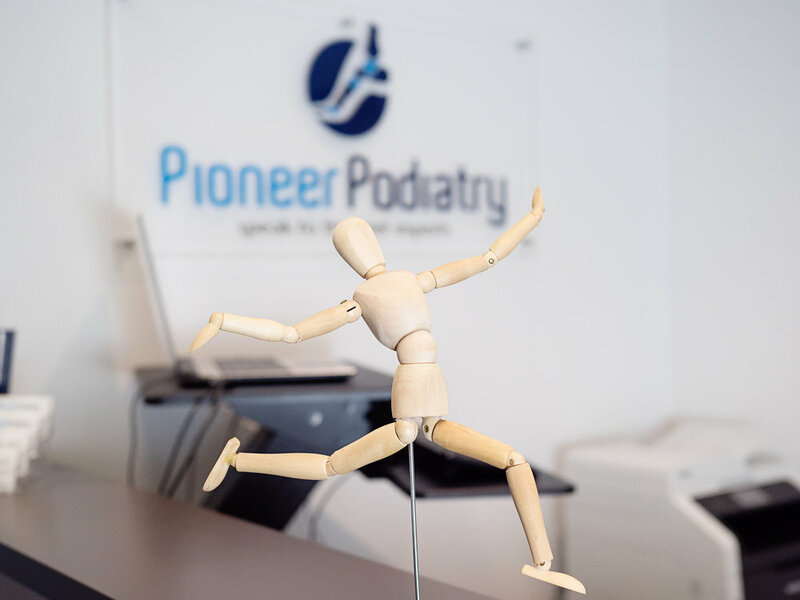 Pioneer Podiatry specialises in the prevention, diagnosis and treatment of foot and related lower limb problems for all the family. We know that every foot is different and we have the experience to provide you with the solution that will best suit your needs. Tips for choosing the best school shoes!